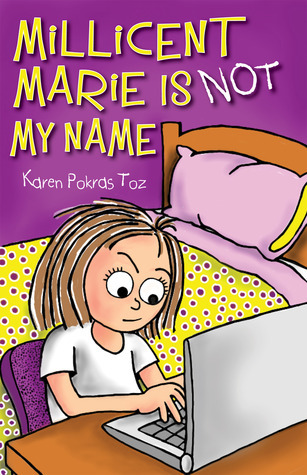 Today is the day - the official launch of Millicent Marie is NOT my Name by Karen Pokras Toz! To kick things off you are invited to a Twitter Party. Join award winning children's author Karen Pokras Toz at 10 am, 11, am, and Noon EST and then again at 10 pm, 11 pm, and Midnight EST for 30 minutes of chatting, fun, and prizes. My son and I have enjoyed author Karen P. Toz's books about Nate. Nate Rocks the World and Nate Rocks the Boat are both books that my son and I really enjoyed reading and reviewing. When I was told that Karen wrote a book for girls, I jumped at the chance to review it. Millicent Marie hates her name. Not only that, but she is most definitely not popular in school, and would love to be, which is normal for most kids her age. When her little brother posts her diary by making it into a blog, she is of course mad - until she starts getting fan email and realizes that through her diary alias name of Amanda, she can feel popular. I love how the story shows the normal dynamics of the different cliques in school, and how difficult it can be for those kids who are not popular. I also loved the insight into a few of those "popular" kids' lives depicted in the story. I love how Karen shows that it is possible to overcome the stereotypes set on kids, and how if someone would just show some kindness and honesty, great things can happen. Millicent Marie is able to make some great changes in the heirarchy of her peers and a few things in her school as well, but also comes to see that although the right words can make things better - words can hurt too. Another amazing book by Karen Pokras Toz, and one I will definitely have my kids read as they get older! Check out Millicent Marie Is NOT My Name for yourself. I recommend it for ages 10 and up! 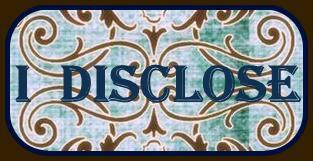 and don't forget to check out Millie's blog. Thank you so much for your review Susan and for helping to kick off the tour as well!